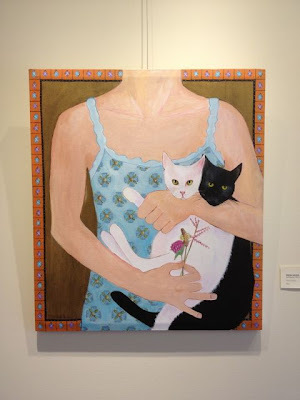 Explorations in Quilting and Life: Main Street Arts - New Upstate New York Art Gallery! 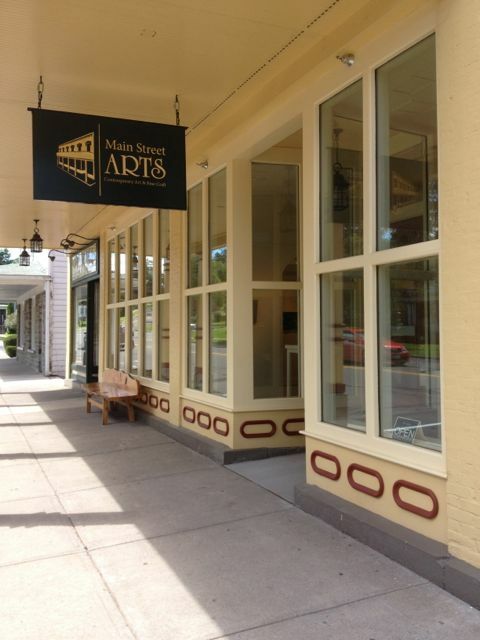 Main Street Arts - New Upstate New York Art Gallery! On a beautiful Sunday afternoon, my husband and I went exploring and visited Main Street Arts, a new art gallery in Clifton Spring, NY. The gallery opened this summer and is currently displaying an exhibition called "Locality." 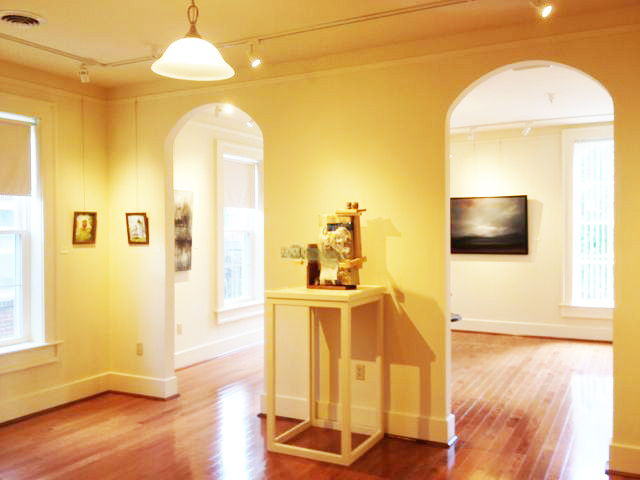 The exhibit includes the works of 30 artists with ties to upstate New York. The gallery is a beautiful place to display art. There are two rooms downstairs and another series of rooms upstairs. "Locality" is a diverse exhibition as evidenced by the subject matter of two of our 'favorites'. Maria Galen: "Self Portrait with Cats"
Main Street Arts is located at 20 West Main Street, Clifton Springs, NY and is open Wed - Sun., 11 am - 7 pm. 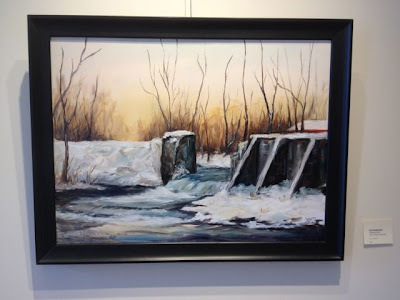 Their website is www.mainstreetartsgallery.com. 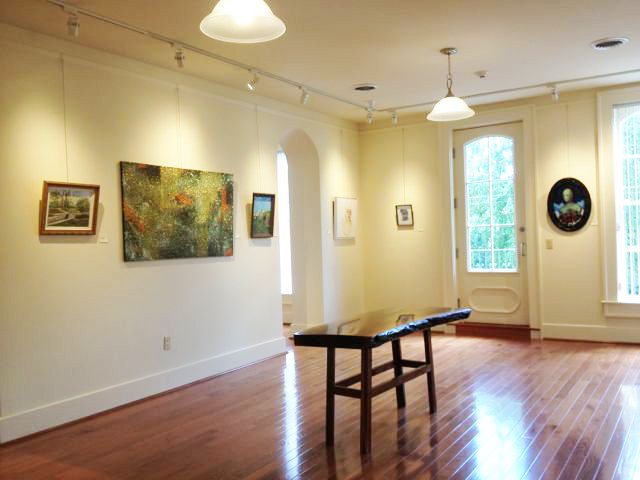 Their next exhibit, "Landscape", opens September 4. They are a wonderful addition to the Clifton Springs area. I hope that you will be able to support them with a visit soon! 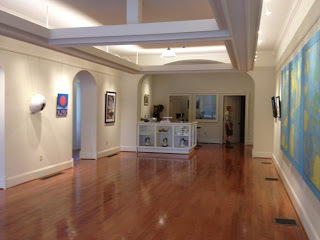 What a lovely gallery. Thanks for bringing it to our attention.